Manufacturer of a wide range of products which include canteen table and cafe pod. We feel proud to announce ourselves as the leading manufacturer, wholesaler, trader & supplier of Canteen Table. Offered canteen table is designed with the help of top quality basic material and modern techniques by our professionals. 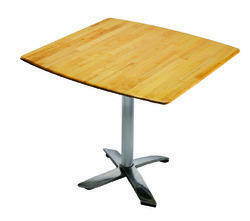 Also, our offered canteen table is used in the canteen of office, school, college and other such allied places. 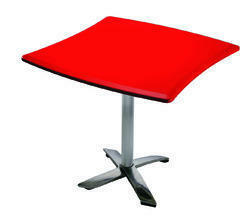 We provide this canteen table to our clients in several colors and designs as per their requirements. Our industry expertise and immense experience enables us to provide an exclusive array of Cafe Pod. This range is ideal for cafeteria for having chill with your friends while drinking coffee. Our cafe pod is available from us on number of customized designs according to the needs of customers. This cafe pod is manufactured by using high grade basic material and sophisticated technology by our proficient professionals. Looking for Canteen Furniture ?